Our comprehensive range of accounting services are tailored to the unique demands of every client. Whether it’s business, personal or specialist accounting services, you can rely on Keith Willis Associates to deliver prompt, accurate and professional financial advice to meet your every expectation. We provide our business accounting services to small and medium-sized businesses in and around Nottingham. We don’t simply keep your finances on track, we listen to you to deliver proactive advice that will help your business grow in the future. With an account manager on hand whenever you need them, you can be sure that whatever business accounting issues you might have will be dealt with in a fast, efficient and friendly manner. For small and medium-sized businesses, it can be tough to handle the financial aspects of your company while still maintaining strong, customer-focused relationships. As chartered accountants, Keith Willis Associates can provide a range of precise accounting services to take the pressure off your day-to-day working life. 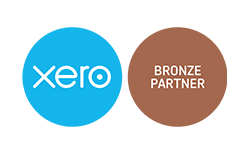 Whether you need a regular bookkeeper for your new business, or require a proven chartered accountant to look after ageing accounts, we are here to help. To find out more about our range of accounting services, contact us today.